Around the time the Black Keys were recording what would be their ticket onto the charts, Rubber Factory, drummer Patrick Carney passed along a demo tape that would lead to the eventual signing of Heartless Bastards by Fat Possum Records. The year was 2004, when there seemed to be no shortage of garage rock revivalists. That year saw the debuts of Franz Ferdinand, The Libertines and The Killers, among others. Heartless Bastards fit comfortably into this class of early 2000s rockers and proved such with their 2005 release Stairs and Elevators. 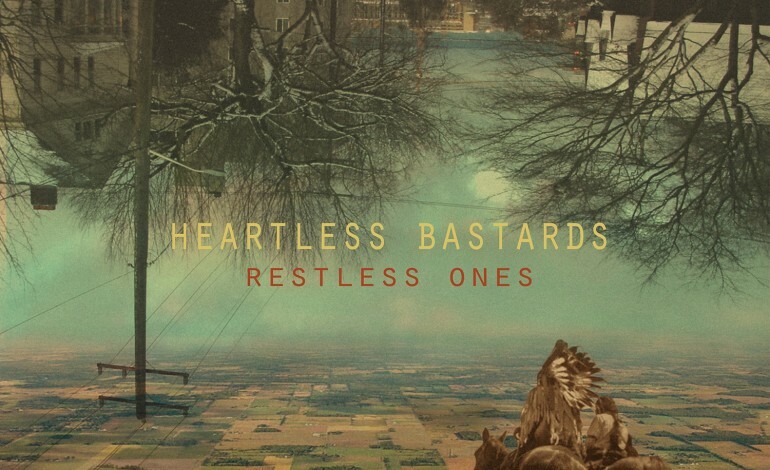 Now on their latest release, Restless Ones, Heartless Bastards, like the Black Keys and Jack White, have ditched the garage rock sound for one more suited for arenas – something all three acts have been musically moving towards with each album. On Restless Ones, the band does little to separate themselves from these similar rock bands. Heartless Bastards would do justice opening these groups, but it is hard to imagine them in the headlining spot. The hooks on the album don’t rise to an arena worthy catchiness and the guitar solos and fills throughout the album are more suited for a late 80’s hard rock band then for the Heartless Bastards. Although there’s no doubt Wennerstrom’s voice could fill any venue. There are interesting, striking and engulfing moments on the album, but they are scarce, appearing mostly on the album’s opener and closer. The album begins with “Wind up Bird,” a noisy and distorted song sonically akin to Manchester Orchestra’s earlier work, at times calling on Spiritualized’s more driven guitar riffs centered by Wennerstrom’s unapologetic vocals. This track shows off how well Heartless Bastards do this heavy pop, but the album moves in a different direction. The songs that follow are similar sounding, acoustic based pop songs that seem to blur together, with the exception of “Black Cloud.” This is the most memorable song on the album, driven by a catchy, fuzzy bassline underneath intertwining guitars and an addicting vocal melody. If there were a crowd-pleaser on the album it would be this song. Unfortunately we don’t get anything that lives up to this on the rest of the album. The last track, “Tristessa,” seems to come out of nowhere. It’s five minutes of swirling, building feedback, with a subtle clean bass and guitar tracks reminiscent of Yo La Tengo’s more shoegaze songs. Wennerstrom’s voice is the most emotionally driven on this song and her pop sensibilities over such a noisy track show an interesting side of Heartless Bastards. Ending Restless Ones with “Tristessa” makes us wonder if there may be more experimenting on future releases or if they’ll stick to the festival-friendly formula they applied to most of the songs on this album.